Computer running slowly? 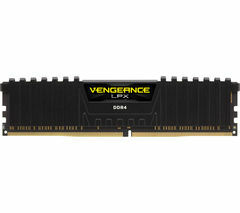 Adding more computer memory, also known as Random-Access Memory (RAM), can help speed things up. 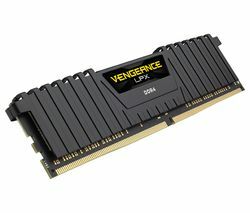 When our PCs, Macs and laptops start running out of RAM, they begin to struggle and performance starts to suffer. Installing extra RAM is a cost-effective way to help improve the speed at which your computer handles today’s demanding software programmes, apps, and operating systems. Whether you’re looking for laptop memory or desktop memory, you’ll find it’s quick and easy to install, and you’ll notice a difference in performance immediately. 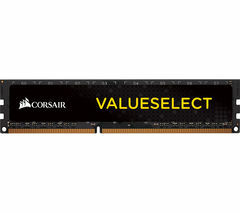 We currently offer two main types of laptop and desktop computer memory - DDR3 and DDR2. The main difference here is speed - DDR2's effective frequencies officially span 400MHz to 800MHz, while DDR3 kicks off at 800MHz and extends to 1,600MHz. Computer memory sticks are also available in a range of capacities, from 1GB to 8GB. 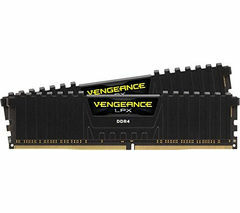 For optimum performance, you should install two parallel RAM sticks of the same brand and specification. If you want to improve your computer’s multitasking capability and increase its start-up speed, installing extra computer memory is a simple, cost-effective solution.